icons in history. As science has progressed, so has the speculation on how the image of the crucified man of the Shroud was made. NOTE: Dates are for booking only; they DO NOT represent viewing dates at the venue. 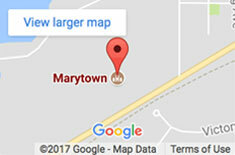 Date of pickup at Marytown: REQUIRED Please fill out this field. Please enter valid data. Date of return to Marytown: REQUIRED Please fill out this field. Please enter valid data.